Discussion in 'Feedback' started by Old Thunder, Dec 31, 2018. A lot of people seem to think I should be a mod around here, and it's flattering, but Ed has made it clear that I cannot be a mod on MC, because I've had my share of spats and squabbles with various other members in the past, so that makes me unqualified to be a mod - accordingly, I might show partiality in a sour situation around here. They want someone with an absolutely flawless record around here to be a mod. 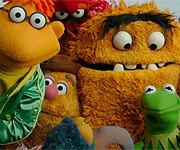 Fragglemuppet, LittleJerry92 and Froggy Fool like this. It goes back to my point on one thing. It’s fine that past arguments doesn’t give you the privilege to be a staff member. But having to be on, in their eyes, 24/7 is ridiculous. Oh, I wouldn't put it past them at this point. The only person I've ever felt was most qualified to be a mod around here was Beauregard, but he's not even here anymore - he's among the countless "old-timers" who just eventually moved on from MC and the drama that was plaguing it after 2009. Otherwise, he was regularly active, and had perhaps the closest thing to a flawless record around here as opposed to anybody. Any Del and Blue Frackle like this. It’s been over a week since this thread was posted and nothing has changed, no one has responded - nothing. So, to all those who would like a forum with an interactive staff team and more available options for said staff team, we have set up one. It’s been under wraps for a while, but I feel that the time has come to make its official announcement. You can access the forum here. 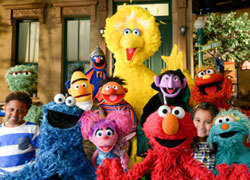 Muppet Central, as it exists now, has been around since 2002. I'm not saying it's age is an excuse for the issues we're having now, but I am saying that something like this takes a lot of work. You may have the best of intentions now, but 15 years from now, things might be quite different. Also, if this new forum is going to wind up being just a place to bash MC, I won't be sticking around. 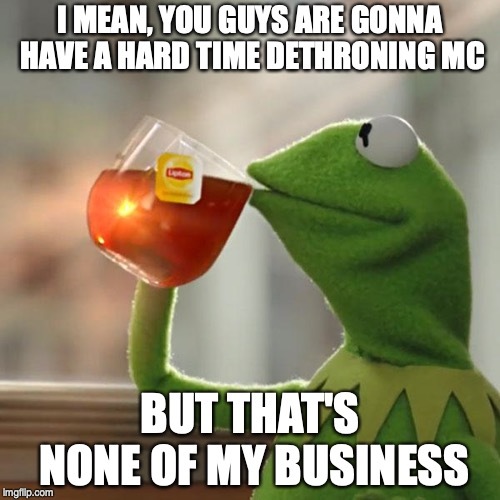 Even though it's having problems, the fact is I've been on MC since 2005 and lurking before then, I have a lot of good memories here, consider it my home away from home, and am still holding out hope for it. Other than that, I wish you luck with it, and am lookin forward to joining! LittleJerry92, Froggy Fool, Any Del and 3 others like this. Here's the thing. it should never have gotten to the state it's in. If it was just given love instead of more or less abandoned, then we wouldnt be complaining now. None of the pages have been updated in years. Yes, it takes effort, but phil has been actively BLOCKING all attempts at making it better. He alone cannot write articles, but he also wont let anyone else write the articles either. Froggy Fool, Any Del, gavry3 and 2 others like this. Good luck with the new forum. But, and maybe it's just me, but I find it kind of, um, (what's the polite word I'm looking for here?) unclassy to promote a website here that is in essence a competitor to MC. LittleJerry92, Froggy Fool, gavry3 and 1 other person like this. I dunno. Its not really competition. I belongbto both Tough Pigs and Muppet Central. They arent competing in my mind. I go to which ever is most active. Tough Pigs tends to be up on news, and this forum tends to be better suited for none muppet talk, oddly enough. I'll come around to it, but it's gonna be kinda tasking to visit two Muppet forums per day. Froggy Fool, Any Del, LittleJerry92 and 2 others like this. I already got started over on the other forum by creating some new SS threads. I belongbto both Tough Pigs and Muppet Central. They arent competing in my mind. Also, if this new forum is going to wind up being just a place to bash MC, I won't be sticking around. No worries as far as that goes. I too love MC and the friends I've made on the forums, and my apprehension with the way its run comes from a love of it. 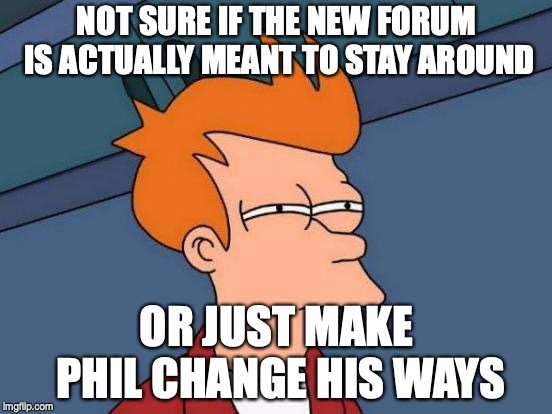 Being a member of the new forum doesn't mean you have to leave MC or vice versa; right now it's a forum for people to come together but with some extra options that MC can't deliver on. Fragglemuppet and Blue Frackle like this.